It’s funny how easy it is to remember what life was like when you were just 17 years old. Most teens were probably filling out college applications and possibly having some trouble figuring out what the trajectory of their college career was going to look like. Let alone, being unable to fully understand how to articulate what ones hopes and dreams. Like most though, you lean into it in early adulthood while letting it manifest itself into what you love. 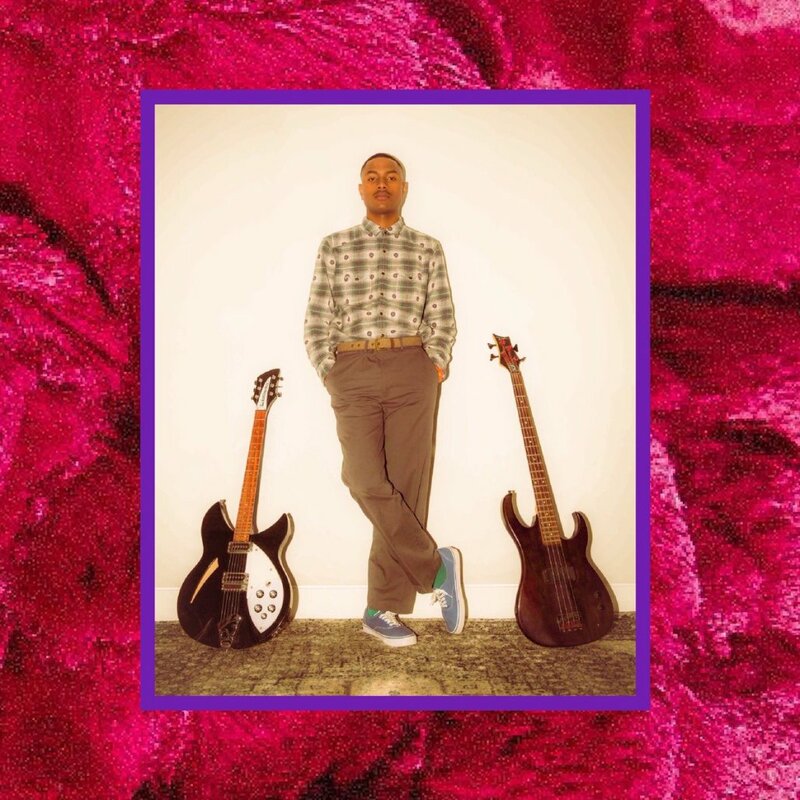 However, at the same age, a Southern California-bred guitarist, producer and singer, Steve Lacy, was blindly lead by his musical passions – also not fully knowing what he was doing – when he began sealing his fate as music’s newest “it” artist/producer and breakout star to emerge from the band The Internet. At the time, Lacy was still in high school and feverishly lent his raw talents towards the production of The Internet’s flawless Grammy nominated album Ego Death, the 3rd album from the band, as it’s newest member. Through a connection with an already existing member, he was brought on to play bass, among other talents and co-produced Ego Death alongside fellow bandmate and original member Matt Martians. It’s crazy to believe that at just 17 years old, and possibly a few months away from high school graduation, Ego Death saw the monstrosity of success that it did. It catapulted the young musician and his bandmates into an elite class of burgeoning black musicians, which later pointed the industry’s eyes and some of the most established names in music towards Lacy and what he calls his “beatmaking” abilities. More importantly, because of the success of their third album, The Internet decided to collectively embark on solo projects, collaborating on efforts that would meticulously publicize their musical endowments, past influences and significance outside the neo-soul funk output. The production and tonality of the brief musical output reveal influences from the likes of Pharrell and The Neptunes’ early days, which oddly enough makes a lot of sense. Lacy presents a new approach towards his natural groove-based, sometimes alternative and rock-leaning melodies that color outside the lines of some of today’s music. Throughout the fifteen-minute listen, it comes across as a slight nod towards the production prowess and legendary music status that Pharrell has amassed. To be clear, this is no easy feat, nor should it be taken lightly! Though the two are completely different in comparison, it’s a trajectory foreseeable within the years to come as Lacy begins cementing his sound across other bodies of work for various artists including GoldLink, TWENTY 88, J. Cole, Chole x Halle, and most notably Kendrick Lamar (“PRIDE.” featured on DAMN. 4/14 via Interscope). At it’s core presence, Lacy’s music is and will continue to be an amalgam of sounds, displayed on an ever-changing platform supported by his nonchalant but visionary approach towards his art. His bass guitar laden grooves & basslines, syncopated rhythms and blend of jazz, soul, funk and Alt rock bring together melodies and progressions that wouldn’t normally be present. It’s exciting, yet really laid back all in the same breath. Some may see it as unconventional, while Lacy appears to having fun in the most simplest of ways. At just 18 years old with his iPhone and foreshadowed mastery in tow, Steve Lacy is here to stay with what is shaping up to be an exhilarating career that will make him THE musician to remember.